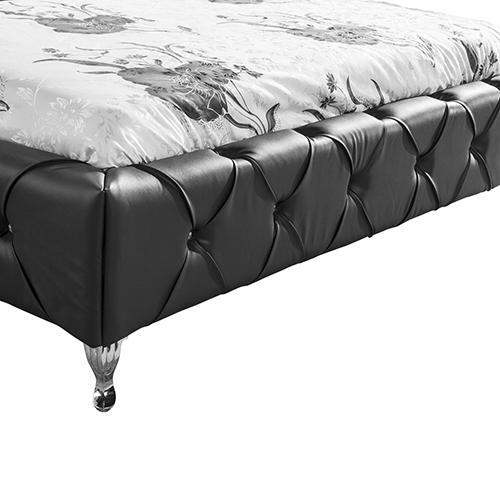 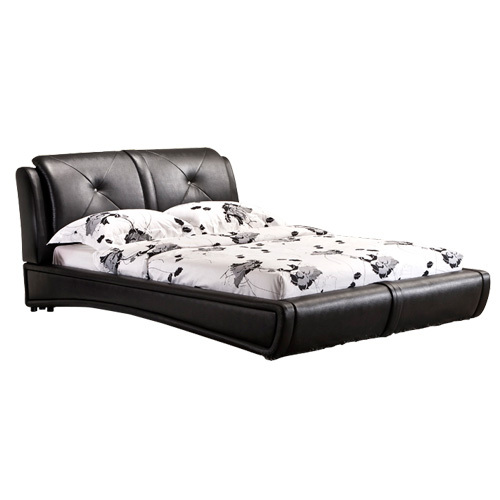 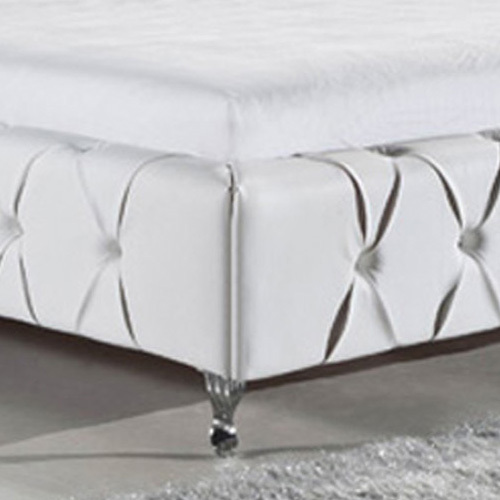 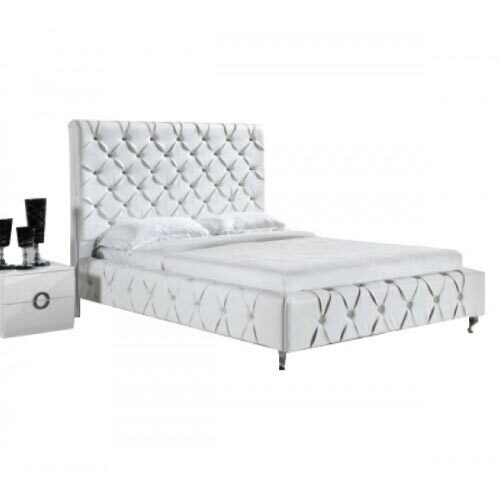 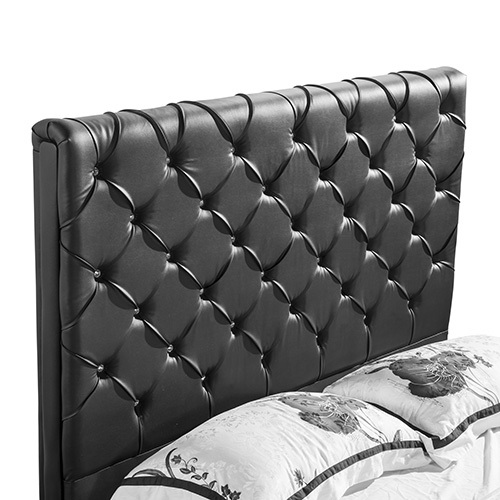 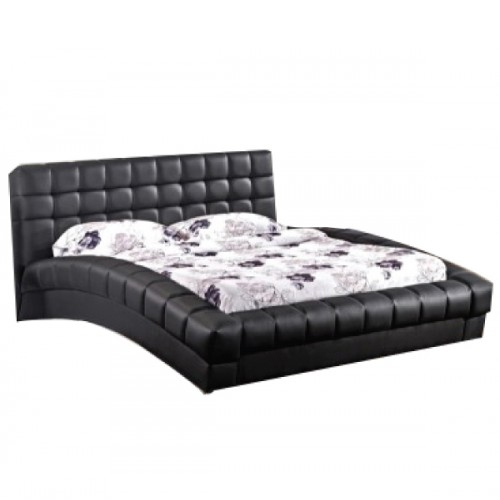 This luxurious bed is fully upholstered with black/white coloured leather which will soothe your eyes and present an immaculate appearance to your bedroom. 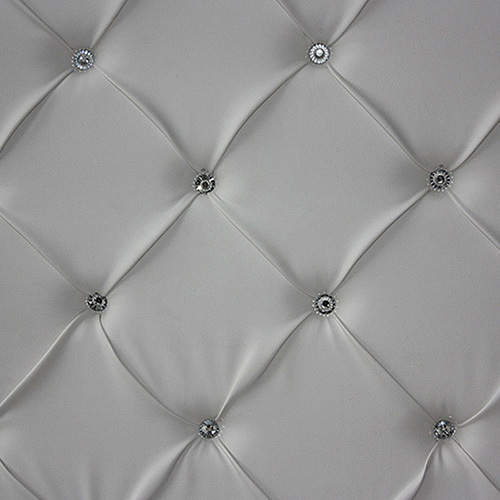 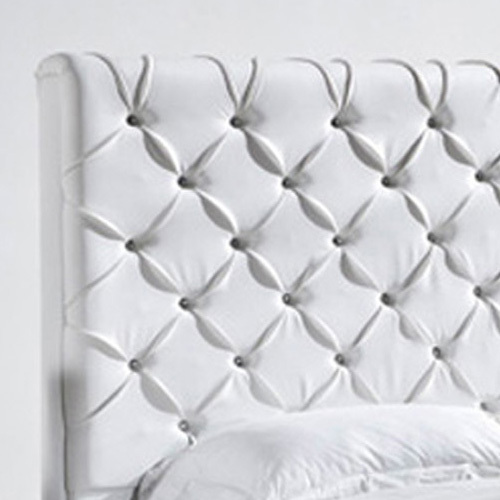 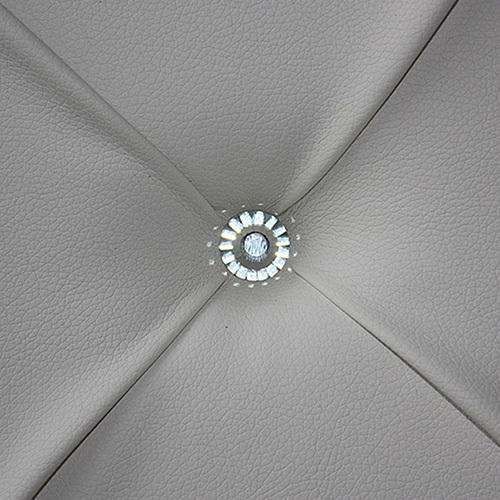 It is nicely decorated with handcrafted diamond-tufted detailing and dazzling crystals in the quilting. 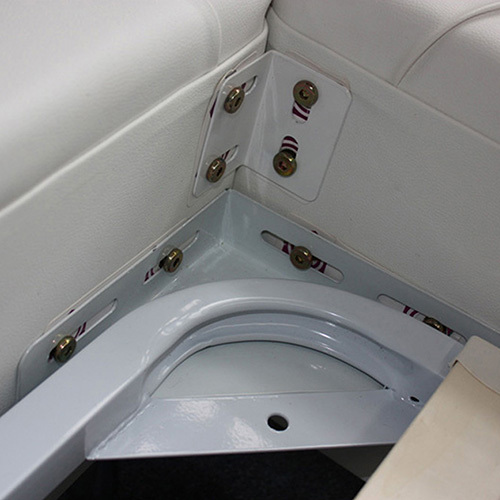 Metal made corner brackets are fixed in four corners of the frame to make it stronger. 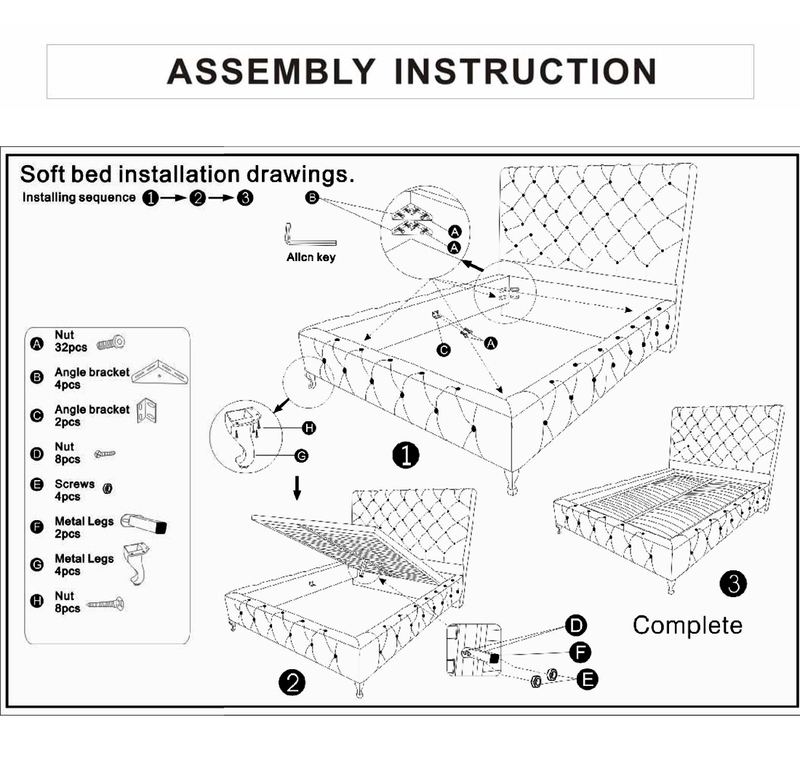 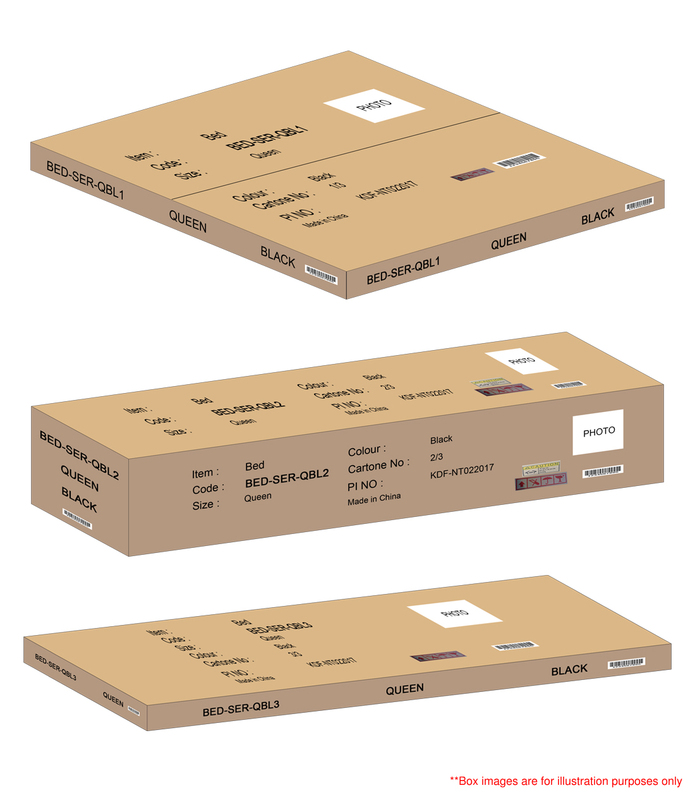 It firmly joins the slats with the bed frame so that there remains relatively less chance of breaking down. 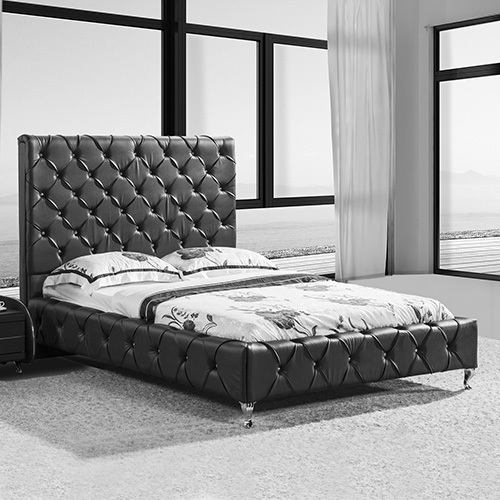 Glossy stainless steel legs are attached to the bedframe which adds a sophisticated look to your bedroom. 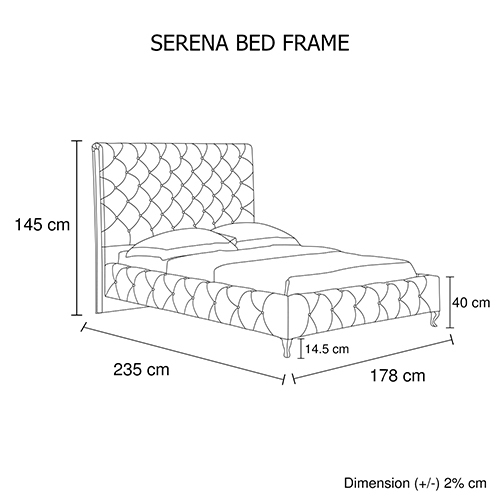 Its strong and sturdy structure mounts the bed firmly with the ground.